1 (11) Sant. 2 (17) Sant. 3 (23) Sant. 4 (34) Sant. 5 (45) Sant. 6 (25) Sant. 7 (35) Sant. 10 (45) Sant. 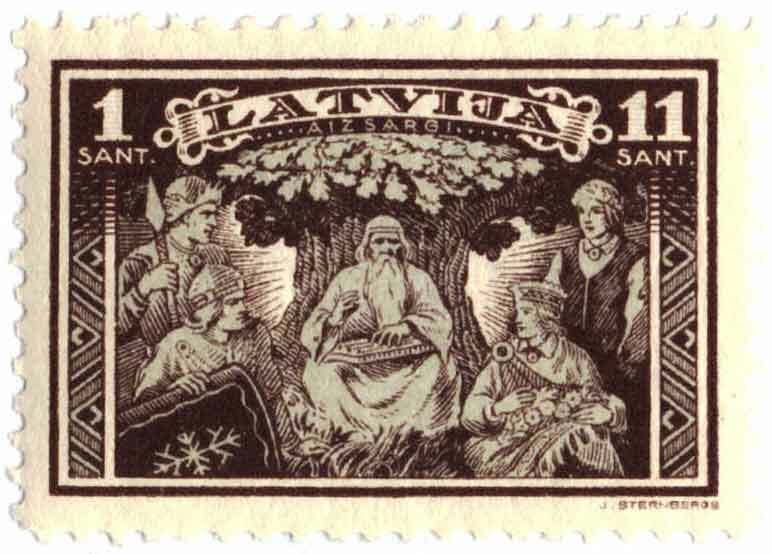 12 (55) Sant. 15 (75) Sant. 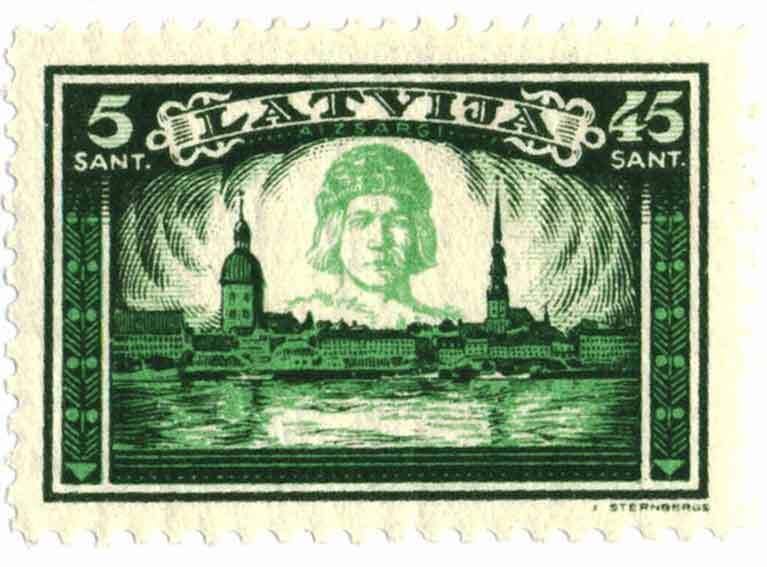 On March 23rd, 1932 the Government Printing Office delivered 25,000 sets of the special designed stamps, each perforated and imperforated. 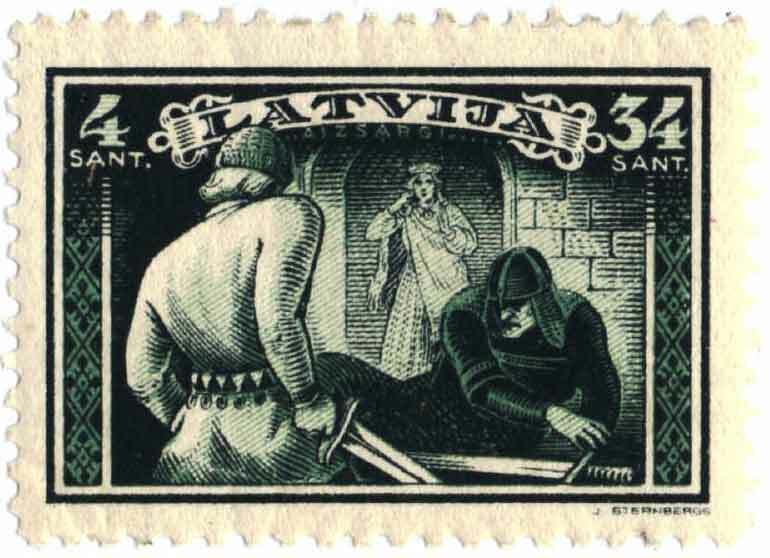 On the stamps various scenes of the "ancient Latvian" are depicted where the designer had been granted the unlimited freedom for his imagination and chauvinism. On the 3,4,5 Sant. 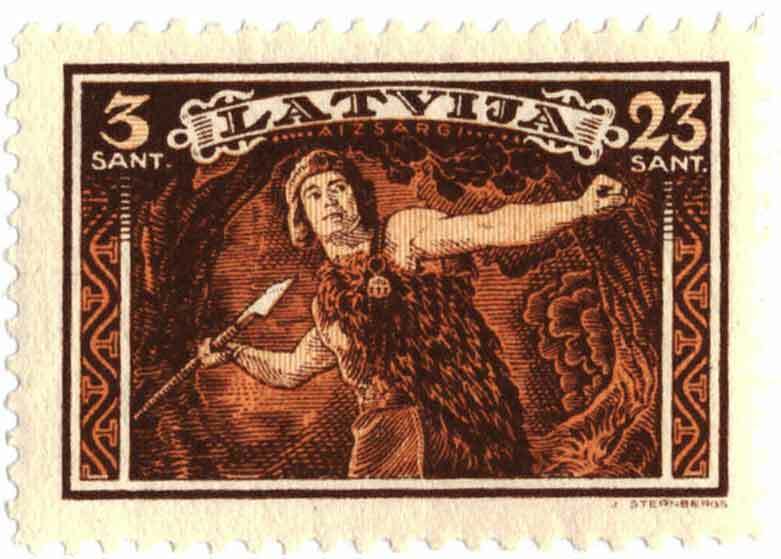 the Latvian legendary hero Lacplesis (bear killer) is depicted. 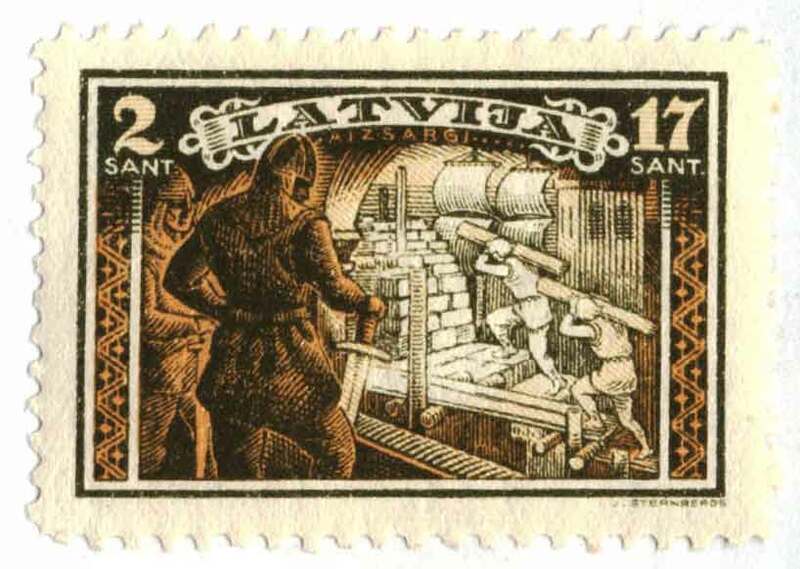 The imperforated stamps were issued on March 23rd, 1932 , and the perforated on April 3rd, 1932. 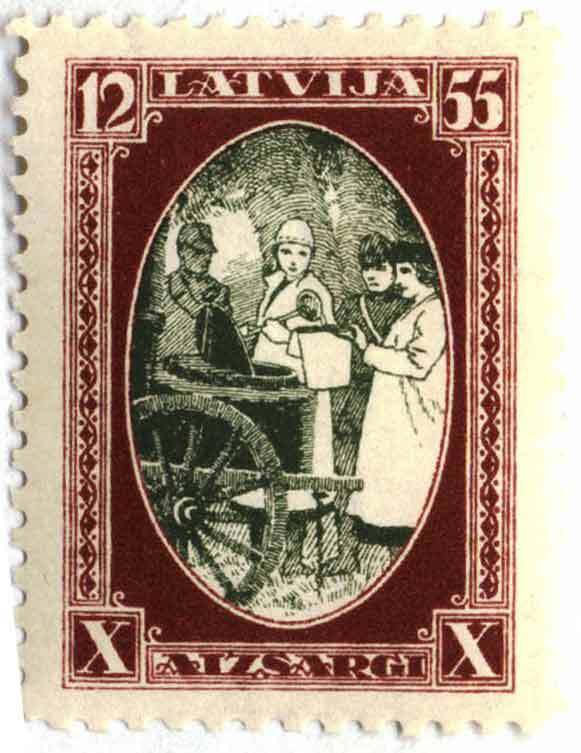 On December 5th, 1933 the Government Printing Office informed the Postal Administration that it still had a total of 213 sheet of the 10 varieties in stock. 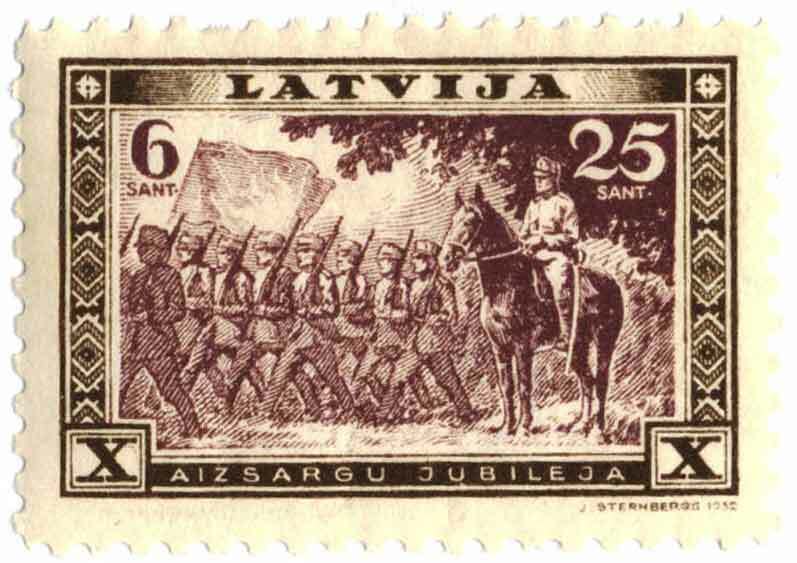 On May 6th, 1932 the Government Printing Office delivered to the Postal Administration 12,000 sets of 5 denominations, perforated and imperforated, again with outrageous surcharges, stamps with scenes of the life of the Home Guard. 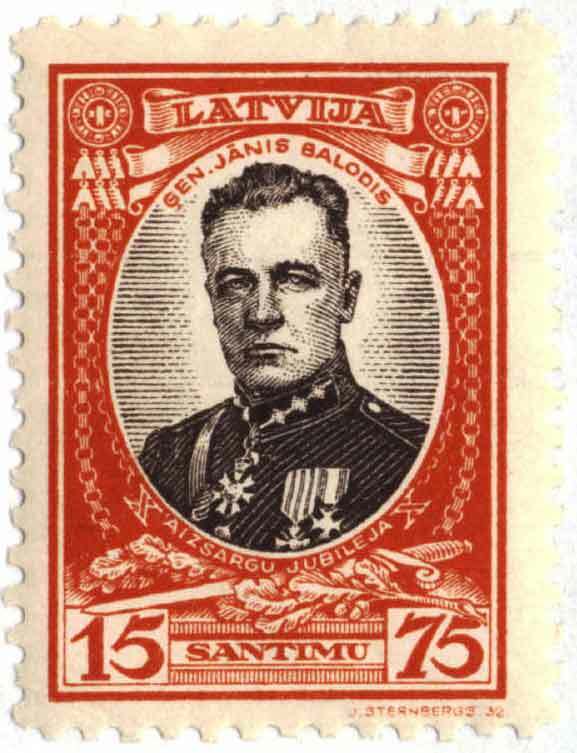 Both the perforated and imperforated were issued on May 12th, 1932. 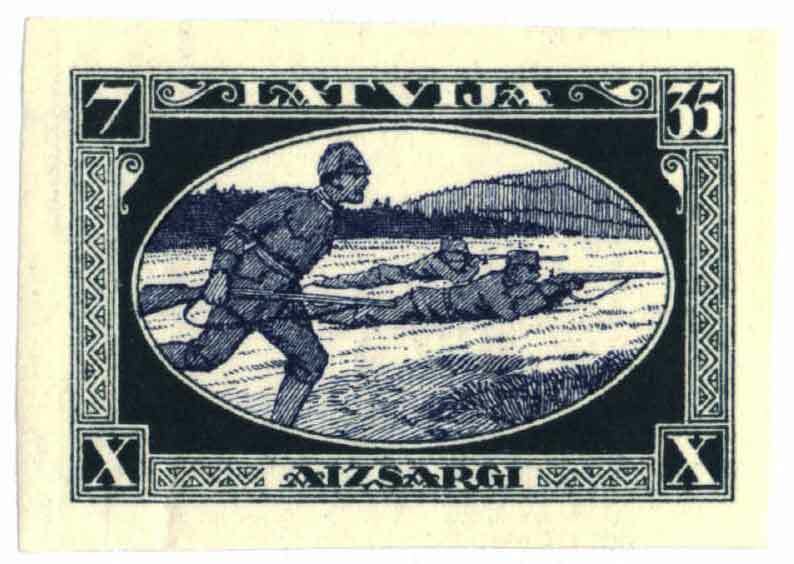 On December 5th, 1933 the Government Printing Office informed the Postal Administration that is still had 282 sheets of the 10 varieties of these stamps in stock. 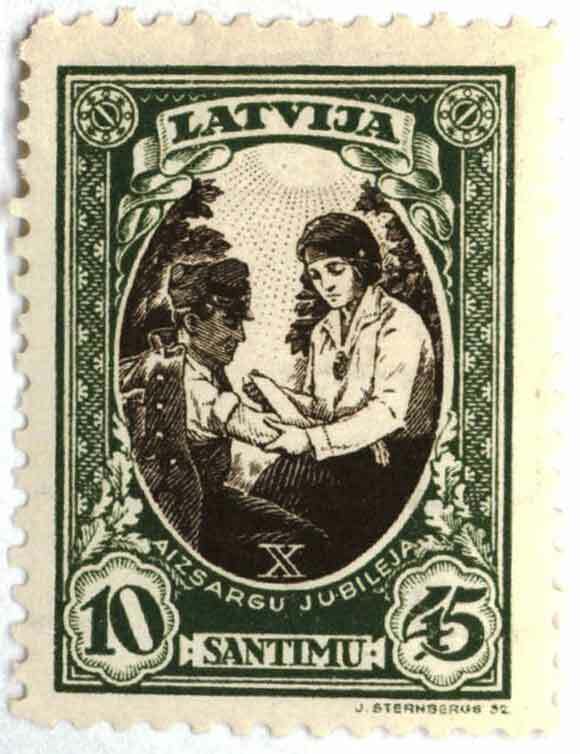 The stamps were valid for postage until September 1st, 1940.